We are able to ensure transportation of domestic and international shipments. Our vehicles are driven by regularly trained drivers with many years of experience. We have a prestige vehicle fleet. We dispose of modern and high quality cars with useful weight up to 24t, which meets the emission standards EURO5 and EURO6 and higher safety standards. Schmitz Cargobull trailers are equipped with certicate XL. The vehicles are serviced regularly to maximize safety and quality of transport. The average age of our vehicles is 2 years to minimize risk of defects. We care for safe and prompt delivery of shipment and therefore we regularly renew our vehicle fleet and provide it with the latest technology.An integral part of the vehicles are also:Protective equipment (helmet, gloves, glasses, reflective vest, shoes and fire extinguisher) Safety equipment (nonskid floors, corner protectors, tie down straps) Communication system (GPS navigation, mobile phones, transmitters, monitoring system), thanks to which we can adapt and respond promptly to any requirements of our business partners. We ensure safe transport of your shipments. We are always ready to transport goods you need to deliver promptly.If you have a precise delivery time and you do not know how, we will help you. With years of experience and mainly with our high standard services we can guarantee safe delivery of shipment. Our main priorities are speed and accuracy. Why choose us?We dispose of vehicles with two professional drivers for truly prompt delivery of goods. In case of a failure we can quickly provide a repair of vehicle or transfer a shipment to a replacement vehicle in the short time horizon. We have reliable dispatchers and they are the basic precondition for succesfull and on time delivery of express shipment to customer. Communication with our drivers is ensured by GPS navigation and mobile phones 24 hours a day. Dear customer, you can enter your request for transport and according to this we can make a price offer in the shortest possible time, on the base of information you provided in the following table. We would ask you for the as many details as possible when completing this table. In the case of more complicated request you can contact either of our dispatchers. 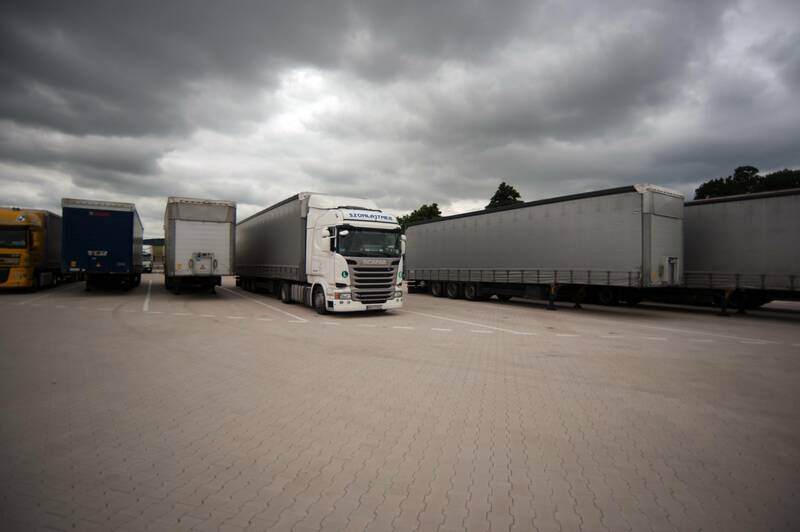 We offer dispatching services throughout the European Union and beyond, which are based mainly on freight providing and full load of vehicles. We are able to transport shipment in case of our vehicles are busy. Professionalism of our dispatchers is an important expectation, they can ensure appropriate vehicle for delivery of goods in the short time horizon. They work with individual and serious approach to each customer and choose the most economic transport abilities, which will satisfy your needs. Our dispatchers can adapt to any difficult conditions in any given situation. They speak German, English and Hungarian. According to our business conditions we implement transports with our subcontractor. To avoid any unexpected delays, shipment is monitored by GPS navigation and mobile phones. We work with reputable transporters whose quality of services we have checked throughout years of our cooperation. Join our broad group of satisfied customers and we will prove to you, that you have made the wright decision. For more than 15 years of our existence we have built a wide network of transport partners, which guarantees taking of goods in short time horizon throughout the European Union and beyond. The main expectation for success of each implemented shipment is an individual approach to customers and team of qualified employees in field of transport. So we can offer a professional approach based on quality of our services and high level of communication. We offer to our customers reliability, professional team of workers and regular informedness. The result is constantly growing list of our satisfied customers. We work with all kinds of documents, which are needed at international transport according to the bonded legislations of each country and the type of transported material.